Google has finally unveils their top secret project, the Google+ that turning their search engine into a giant social network as dubbed by mashable.com. As we all know Google has made attempts ago in social network where Google Buzz was first created but it was just tacked-on while linking to millions of Gmail account. This time Google+ will do another layer of social networking in the web. Google+ is a project led by Vic Gundotra, Google’s senior vice president of social, confirmed the a year -long culmination and say’s they’re currently on limited field test. Google+ is basically powered with HTML 5 to allow people drag and drop the-so called Circles to get a mass of friends across in many social groups. 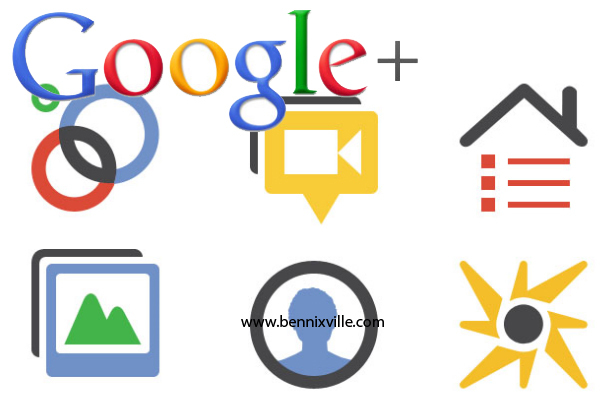 Like Facebook, Google+ has a photos and video sharingfeatures enables the user to tag, edit multimedia with accessible effects, and customize privacy and sharing option as well. Gundotra explained the concept behind “Hangouts,” Google’s new group chat feature. Instead of directly asking a friend to join a group chat, users instead click “starts a hangout” and they’re instantly in a video chatroom alone. At the same time, a message goes out to their social circles, letting them know that their friend is “hanging out.” The result, Google has found in internal testing, is that friend quickly joined. Another awesome feature is the Google+ Sparks, is a collection of articles, videos, photos and other content grouped by interest. For example, the “Movies” spark will have a listing of recent and relevant content for that topic. So, you can get a relevant search result from interesting topics as you wish powered by Google search algorithm like. The Google+ launching will start on the androids mobile. The Android app includes access to the Stream, Circles, Sparks and multimedia. In the future Google+ will be available also to other platform as what Google promise. Google admitted that Google+ was created in the aimed to battle or response the Facebook popularity. Remember, FB and Google are two the competing giant in web traffic. Should this Google+ will really compete with Facebook or somewhat a next level experience with Social Networking? Well, lets see on the next chapter. What is your opinion? Let’s discuss it here!